When Claire Cooper was eight years old her mother mysteriously vanished during Hop-tu-naa, Halloween on the Isle of Man. At fourteen, Claire is still struggling to come to terms with her disappearance when she's befriended by a group of five teenagers who mark every Halloween by performing dares. But Claire's arrival begins to alter the group's dynamic until one year a prank goes terribly wrong, changing all their futures and tearing the friends apart. Six years later, one of the friends is killed on Halloween in an apparent accident. But Claire, now a police officer, has her doubts. Is a single footprint found near the body a deliberate taunt? As another Halloween dawns, bringing with it another death and another footprint, Claire becomes convinced that somebody is seeking vengeance. But who? And which of the friends might be next? If she is going to stop a killer and unlock the dark secrets of her past, Claire must confront her deepest fears, before it's too late. 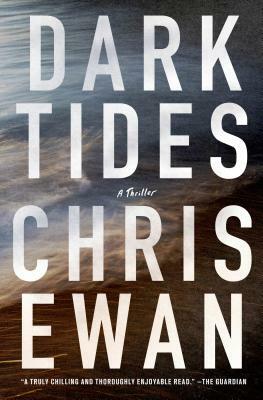 Chris Ewan, author of the stand alone thrillers Safe House and Dead Line, returns to the Isle of Man with Dark Tides-a thriller that will keep you up all night. CHRIS EWAN, who lives on the Isle of Man, was voted one of America's favorite British authors in a Huffington Post poll. He is the author of the stand-alone thrillers, Dark Tides, Dead Line, and Safe House, which was named by The Telegraph as one of the top ten crime novels to take on vacation, and the Good Thief mystery series. The first in the series, The Good Thief's Guide to Amsterdam, was named one of the "best books for grownups" by Publishers Weekly and AARP The Magazine, and one of the best thrillers of the year by the London Times; and both his series and stand-alone books have received starred and rave reviews.